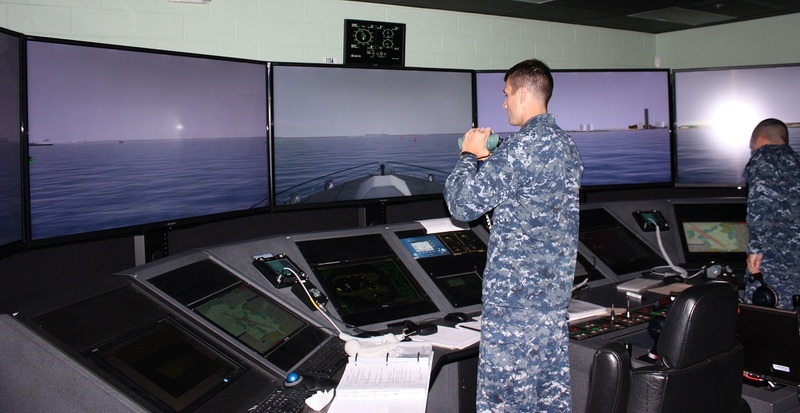 Syncon provided a high-fidelity AEGIS Ashore Trainer at Gallery Hall, Dam Neck Annex, housing a Lockheed Martin mock-up of the combat information center providing our US Sailors and teams the opportunity to experience working with the system, and to certify for operations prior to deployment to Romania and other locations. This DBB project provided the complete demolition, re-design and new construction of this new high-fidelity training center (10,000 SQFT). The area of work under this contract is located in existing secure spaces to be renovated. General construction included a design mixture of high-security design criteria with STC rated partitions and openings, interior finishes, and raised access flooring. Mechanical and Electrical are provided in support of equipment scheduled for use in the renovated spaces to include new Computer Room Air Handling Units (CRAHU’s), new power management module (PMM) systems, detailed data /telecom infrastructure and fire protection reconfiguration as required to support the using Activity.